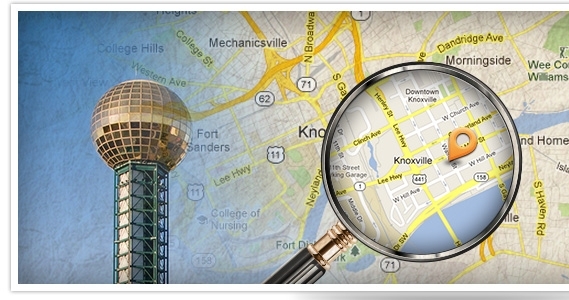 Your Knoxville Real Estate Professional - This is going to be fun! 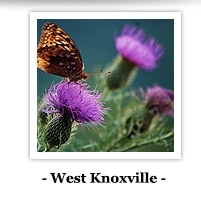 Knoxville is a very warm and welcoming place, we believe that is just might be the perfect place for you! Come in, explore and find out what part of "The Scruffy City" or preferably "The Sunsphere City," fits you perfectly. North Knoxville has a feeling of Americana - kind of like our nation was in the 1950s. Todd Steed, a local musician, sang "Thank God for North Knoxville, where this town still looks like itself - it's the last place in America that ain't trying to be somewhere's else." Be sure to check out the homes of Historic Fourth and Gill neighborhood with architecture dating from the 1880s through today. Other fanastic neighborhoods include Historic Old North Knoxville, North Hills, Fountain City, Oakwood/Lincoln Park and others - all with friendly neighbors and lots of character. South Knoxville is a unique blend of old and new - many artists, professors, students and others find it the place to be with easy access via Gay Street bridge and other connectors across the mighty Tennessee River to downtown. The landscape is dotted with cottages and beautifully renovated stone houses. It is home to The Disc Exchange, a great local music store, tons of other boutique businesses and niche communities. Check out Colonial Village, Lindbergh Forest, Island Home and more. Downtown Knoxville has been experiencing an explosion of culture and life with multi-million dollar renovations to the Tennessee Theatre, Bijou Theatre, Market Square and many other locations around downtown. Catch a wonderful local or visiting musician playing every day at lunch time at the WDVX radio studios in the Knoxville Visitor's Center's "Blue Plate Special." Tons of restaurants, entertainment venues and urban lofts are available. To live downtown, check out Sterchi Lofts, Riverside Condos, The Candy Factory (with the Sunsphere right outside! 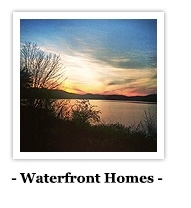 ), The Phoenix and many more lofts and condos and walk to everything! East Knoxville is THE PLACE for good deals and great culture. Work out at the new Cansler YMCA, play in the myriad parks and enjoy some of the historic and cultural centers that are prevalent throughout the area. Be sure to check out the Knoxville Botanical Gardens and Arboretum, enjoy at pint at The Public House on Magnolia, see the animals at the Knoxville Zoo, attend an event in Chilhowee Park or stroll through Morningside Park, posing for pictures with the giant Alex Haley statue. 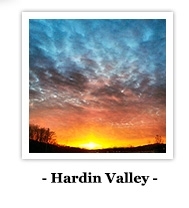 Neighborhoods to check out include Holston Hills, Parkridge, Speedway Circle and others! In Knoxville and East Tennessee "Welcome Home" feels that much better when you know the home is yours. Here in Knoxville, Keller Williams Realty takes a completely different approach to real estate than the big companies you might be used to dealing with, our business is built on personal touches, win-win deals and positive results. It's posted everywhere in our office and it's repeated from the lips of our agents in our daily conversations. Rob Howard's team implements the latest technologies, market research and business strategies with the expectations our clients in mind. More importantly, we listen and that means we find what you need, what you want at a fair price. Your "Welcome Home" should be a place where you feel comfortable, even when paying your bills! We appreciate that you're starting your real estate search with us. This website is chock full of information, not more than you need - but just as much as you want. After you have had the chance to review our educational and informational selection, contact us so we can take the first steps toward your "Welcome Home." 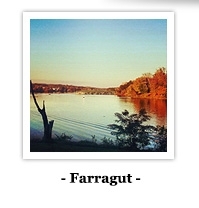 Find Condos and PUDs for sale in West Knoxville and Farragut!